View cart “Lean” has been added to your cart. 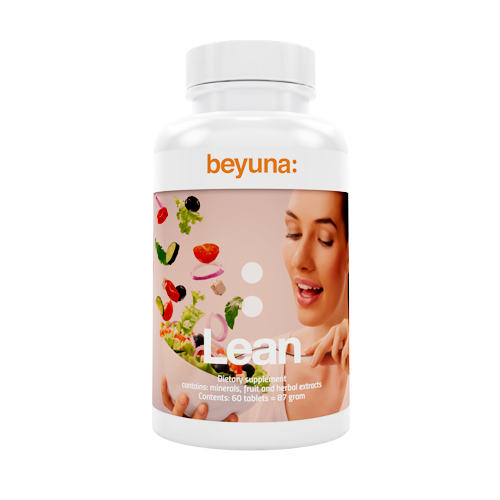 Beyuna Lean has a unique composition of fruit extracts derived from blood oranges, grapefruit, oranges, and guarana. Lean contributes to normal carbohydrate metabolism, metabolism of fatty acids. Lean contributes to normal protein synthesis and the normal function of the immune system. Recommended daily amount for adults two tablets. Allergens: may contain traces of maize. Two tablets per day to be taken with a glass of water 30 minutes before a meal. One tablet at breakfast time and one tablet before the evening meal. Do not exceed the recommended daily dosage . A healthy lifestyle and a varied, balanced diet is vital to main- taining good health.